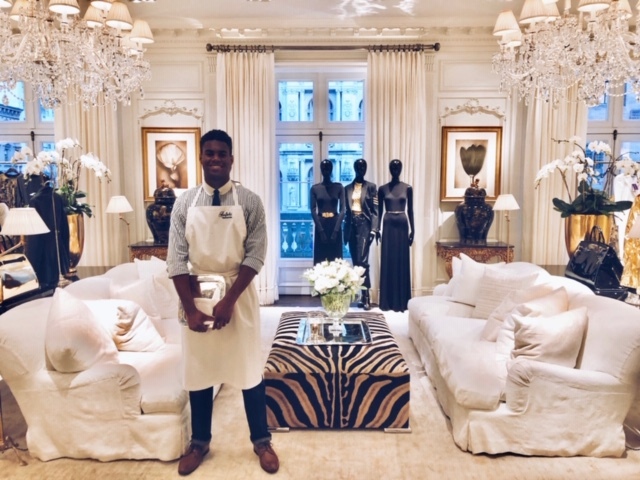 New York Fashion Week has come and gone and I've been meaning to post about my experience viewing the Ralph Lauren Collection. Typically it's very difficult, nearly impossible even, to get invited to any fashion show during NYFW and they're never just open to the general public, let alone free. You either need to be in the industry as a model, have a press pass in media or production, or be a known influencer with a pretty significant following to receive an invitation. Instead of a traditional runway show, Ralph shook things up a bit by giving attendees an experience. 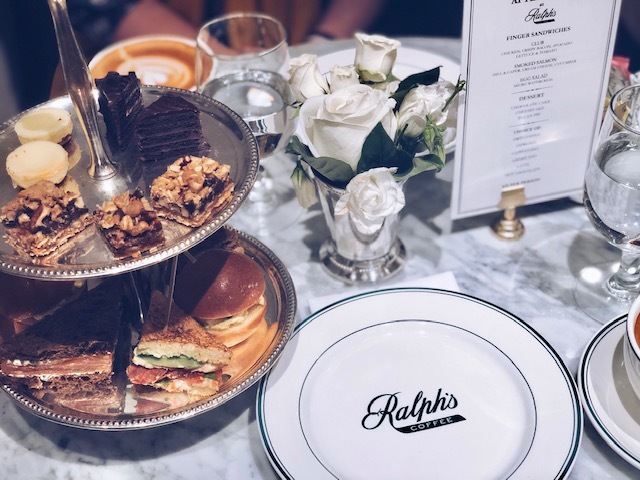 He transformed the first floor of the women's flagship mansion on Madison Avenue into an elegant and intimate cafe setting for 3 days, 'Ralph's Cafe' (normally this is where the accessories are displayed). 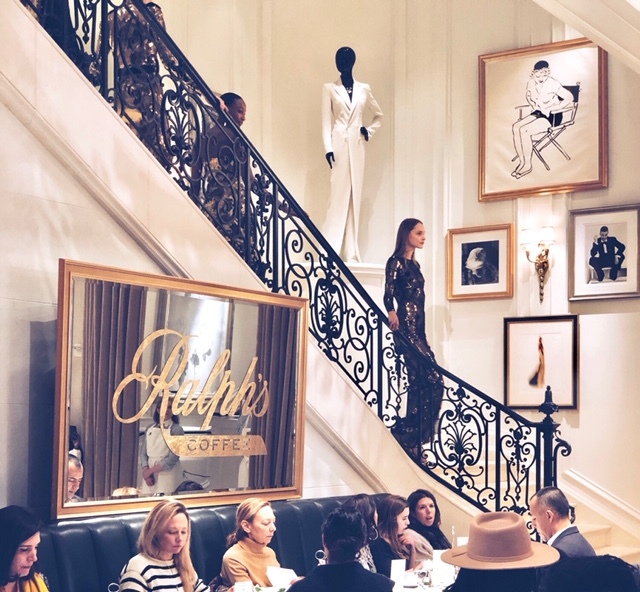 After the official and truly exclusive run-through show with editors and buyers and influencers, he then released a very limited amount of reservations to the public for an 'exclusive' cafe dining and viewing experience of the collection. I was lucky persistent enough to snag a reservation for 2 (via Instagram!) and invited my friend Noémie. 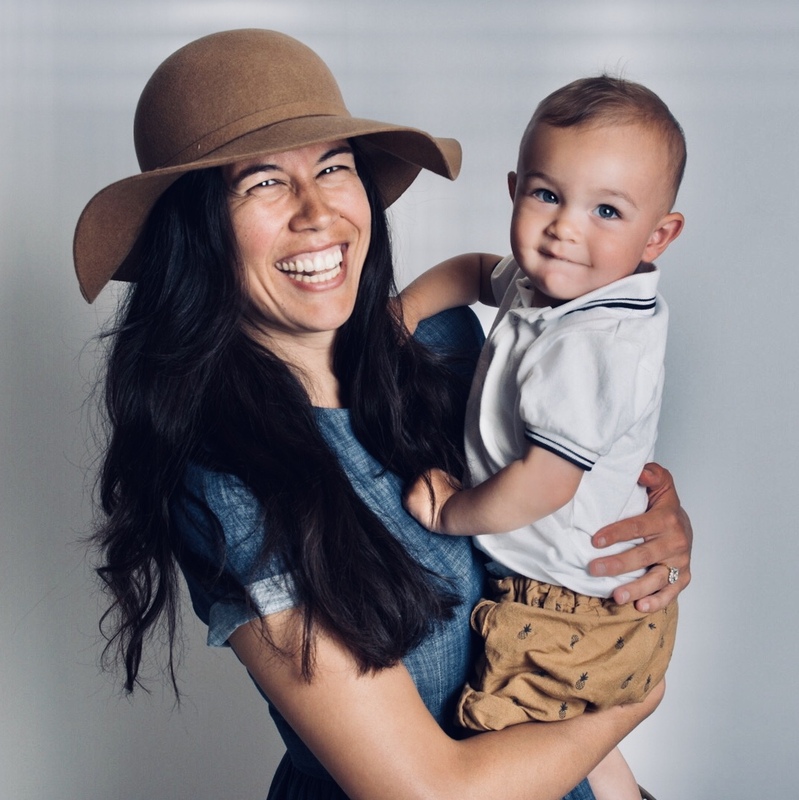 We both took a break from being moms for the occasion. Thank you to our husbands for giving us the afternoon off as it was really quite a treat! We dressed in our RL inspired Sunday best and were warmly greeted upon arrival. 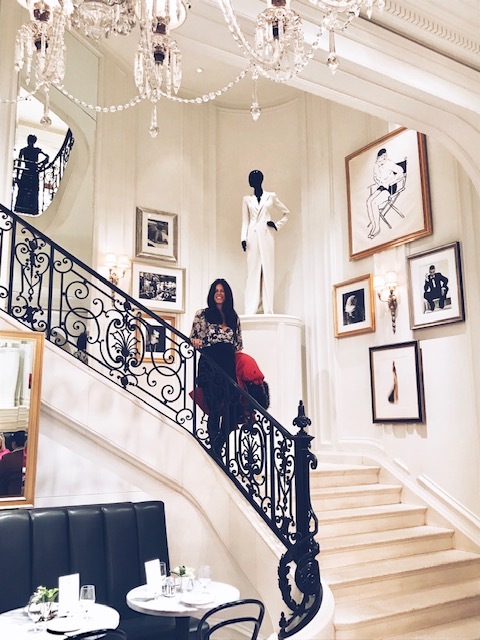 After a short wait beneath opulent chandeliers and having our coats checked, we were seated below a palatial staircase with an exceptional view of the cafe. 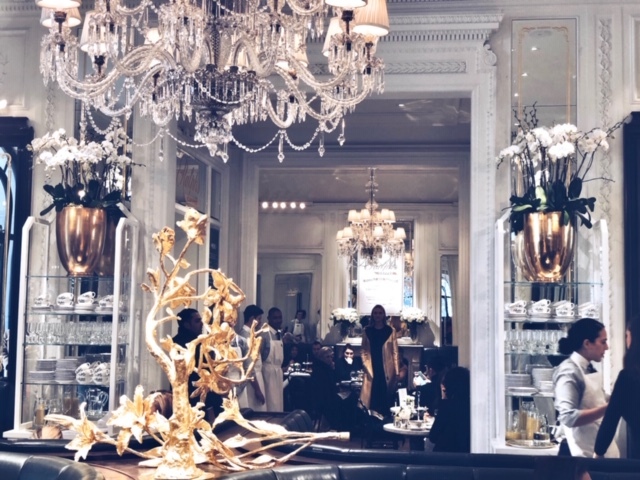 Models casually and effortlessly cat walked throughout the guests as we sipped our lattes and nibbled inhaled our tea sandwiches and desserts. The collection consisted of a simple gold, white and black palette with mix-and-match separates to evening wear with hints of military flair. If you watch my video above, you'll see a floor-length gold cape that was certainly made for a glamorous superwoman! After the grand finale, we freshened up in the ladies room and made our way upstairs to shop the upper levels. 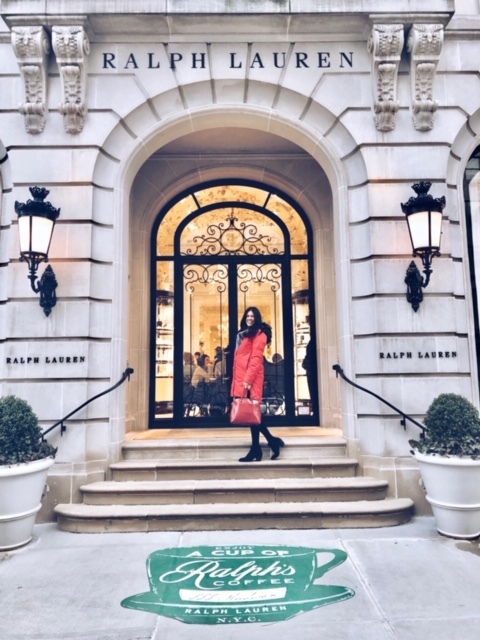 Thank you to Ralph Lauren for an impressive experience that exceeded my expectations. Bravo on a beautiful and tasteful collection as well! 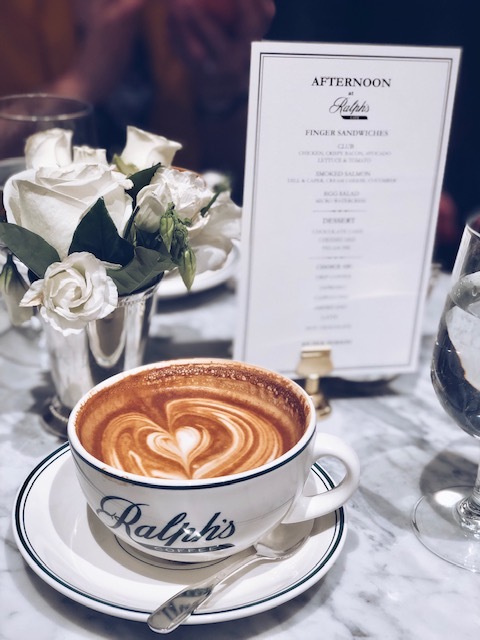 Did you know that Ralph has his own coffee? I loved it! You can buy it here. 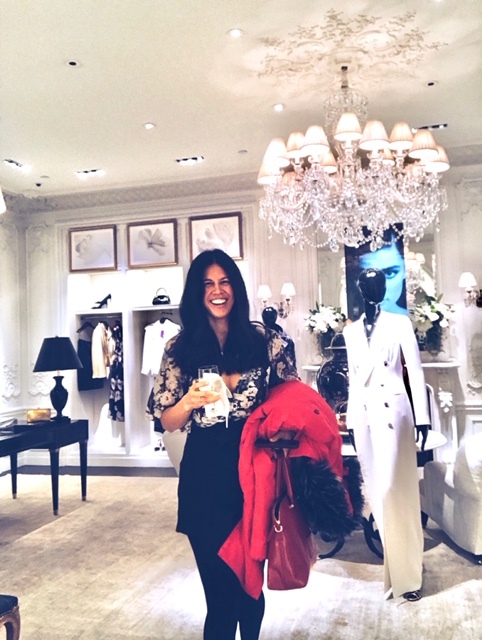 Have you ever been to fashion week, in the spring or fall? Would you go if you had the chance?! copyright © marie pech 2019 - site contains affiliate links. Powered by Blogger.